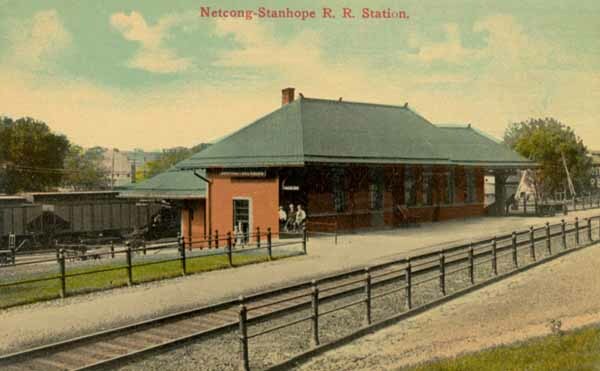 The current Netcong station was opened June 14, 1903 after the new Sussex Branch cut-off track bypassing Waterloo was built 1900-01. The original station occupied the space used for the Sussex Branch tracks. 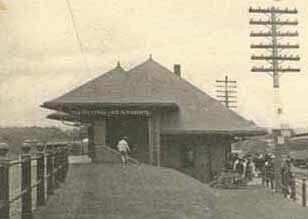 The freight house survived into the 1970s. 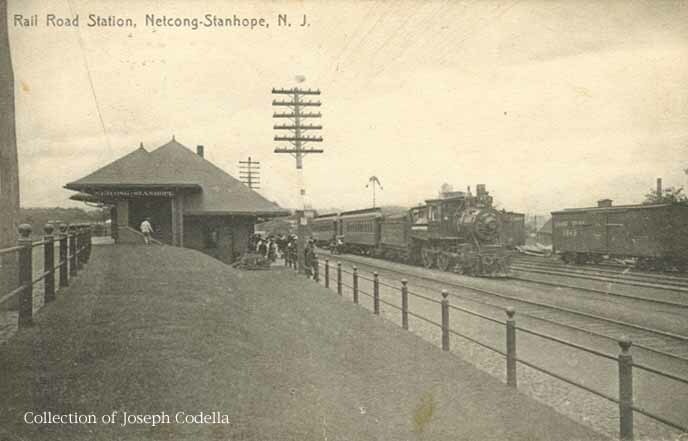 For years Netcong was the terminus of New Jersey Transit passenger runs, but now the terminus has been moved west to Hackettstown. 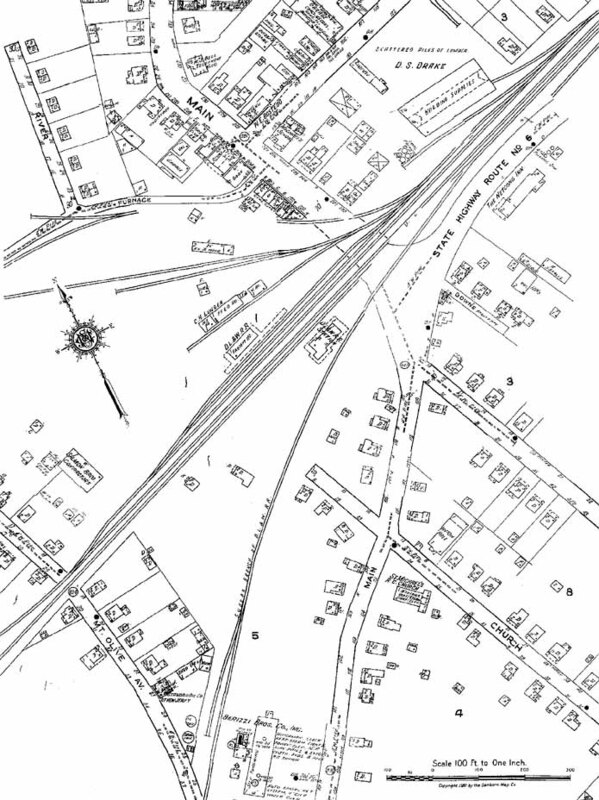 Nearby industries: Coal and lumber yards, feed dealer. South face of station looking northeast.